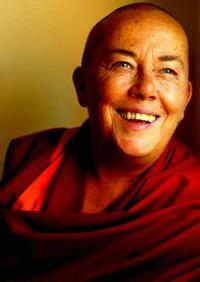 Sydney, Australia -- The spiritual journey of Robina Courtin has taken her from a Melbourne convent school to death row in the Kentucky State Penitentiary, but the Buddhist nun warns that no bars are worse than the prison of one's own mind. The former bodyguard of the Dalai Lama, whose life story was chronicled in the acclaimed documentary Chasing Buddha, is the founder of the Liberation Prison Project, which offers a spiritual lifeline for prisoners, mainly in the US and Australia. The Liberation Prison Project began with a single letter from an 18-year-old Mexican gangster jailed since the age of 12. Since its inception nine years ago, the US project has grown to field letters from about 6000 inmates from 700 prisons and has offered 200,000 books for distribution. In Australia, the project has received hundreds of letters from inmates and chaplains and supplies books to 20 prison libraries. 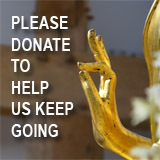 "Buddhism is about helping people deal with their low self-esteem, their anger, their bitterness and their negative actions and getting them to learn to take responsibility, develop their qualities, become a more contented human being so they can give benefit for others," Venerable Robina said. Compassion for criminals is not, she stresses, about religious conversion. Buddhism's message of transforming minds and lives is about personal rehabilitation and, anyway, the Mexican gangster is now a Christian. "Forget about the Buddhism business, many of them just write ? to have human contact because that's what's so precious." 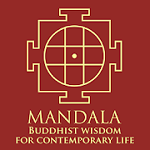 Venerable Robina is giving a public talk and workshop on behalf of Newtown's Vajrayana Institute on Buddhist wisdom for modern life next weekend. Part of a stream of Buddhism of working for others, she says she is about trying to change the world. And in doing so she questions the disparity in the treatment between street criminals and corporate crooks. "Don't tell me the people in prison are the only ones who commit crime. Come on, look at the world. All these figures focus on street crime, what about corporate crime?" she said.